Some time you need to hide some installed programs in your Control panel. 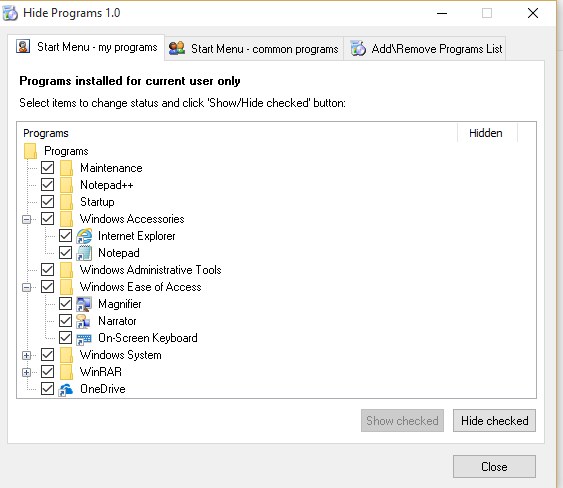 So that if anyone can use your machine those programs will not be visible to them. It’s also good for security or privacy purpose.in this article I’ll cover two ways to hide these programs. First one is manually and second one is by using any third party tool. 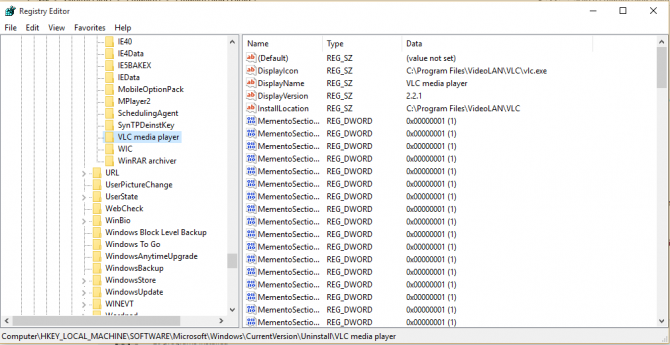 You can hide programs in Programs and Features in Windows 10 manually. You just need to change some settings of your system. Follow the below described steps. 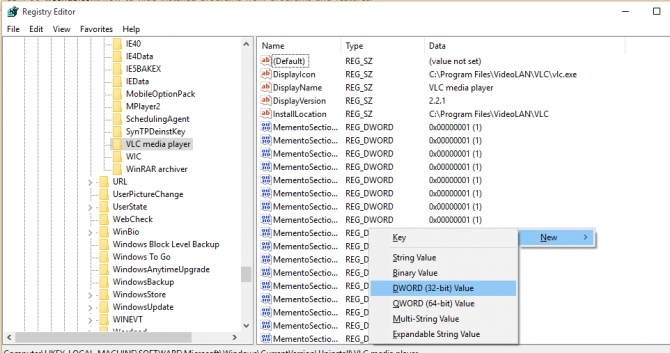 First open the “Run” window by pressing “Window key + R” and type “regedit.exe”. this will lead to open the Registry of your system. We’ll first hide the 32 bit program. For example we want to hide VLC media player. 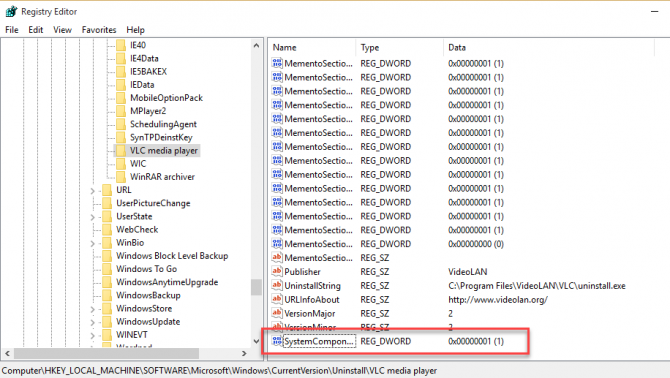 From the Registry go to HKEY_LOCAL_MACHINE\SOFTWARE\Microsoft\Windows\CurrentVersion\Uninstall and from the list select your required program you want to hide. Now create the new parameter of DWORD by right clicking with name SystemComponent an put its value 1. Now update or refresh the windows. 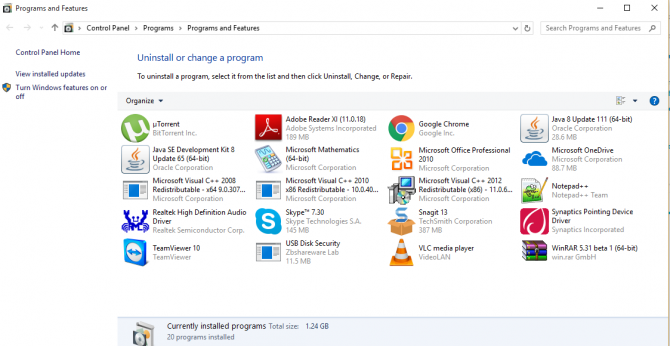 Now you’ll see that VLC program will disappear from the list of installed programs. Look at below snapshot there isn’t any VLC program. If you want to show it back, delete the new parameter which you created. And refresh the list again it will show to you again. 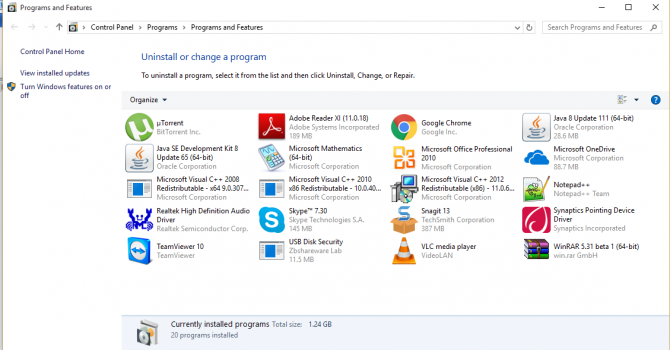 So this is very easy and simple step to hid any program form your installed programs list. 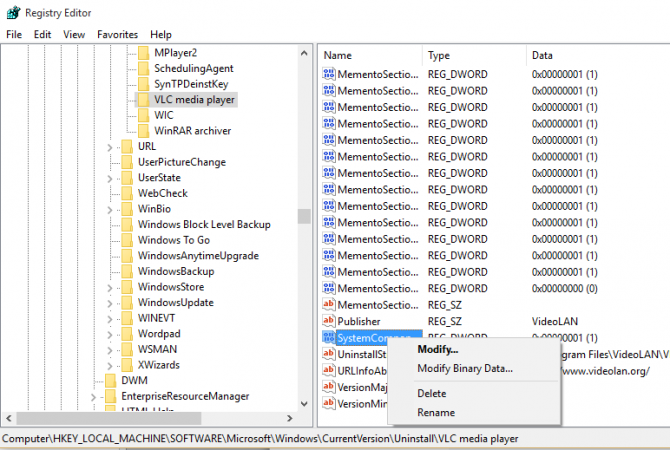 If you don’t want to hide any program manually, you can use Third Party tool too. Hide Programs is a tool which can help you in hiding any program you want to hide. After installing it in your system, open the program. It will then display you all the programs of your system. Then you can select any program and choose whether you want to hide or show the selected program. So these are two ways. You can choose anyone of them which you find easy and reliable. 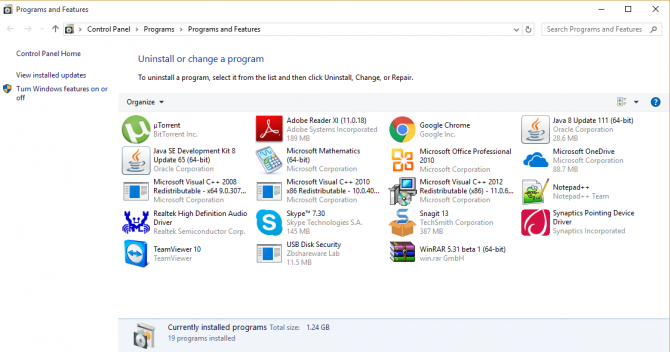 Just follow above easy and simple steps and hide your programs from the list of installed programs.